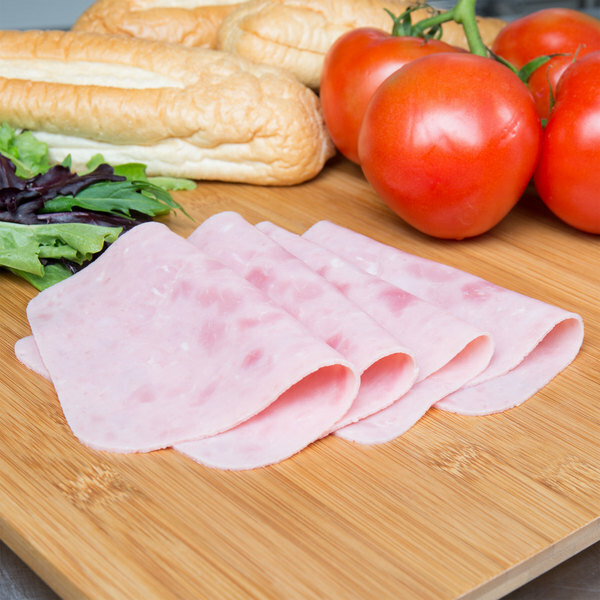 Incorporate tender and juicy ham recipes into your menu by using Freda Deli Meats 13 lb. 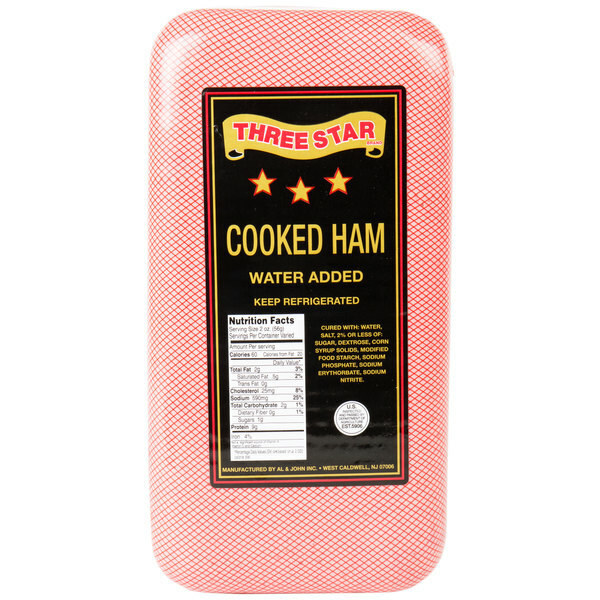 Three Star cooked ham! The subtle flavor works well in hot breakfast sandwiches with melted cheddar cheese and warm crispy bread, or try adding it cubed on top of your meat lovers pizza to create a hearty, deep dish pizza customers will enjoy. It even works well with entrees like tortellini. Simply add it in with fresh tortellini, peas, and some herbs for added seasoning, and your entree is ready to go! From breakfast through dinner service, this ham is sure to be a great addition to your inventory. This ham is cured with water and salt for added flavor. It offers the classic style, sweet taste and savory flavor of ham, great for adding into any menu. Plus, it comes cooked for convenience, allowing you to immediately cut, add to recipes, and serve.